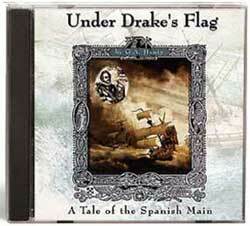 Each of the Henty Books on CD titles is a complete, unabridged recording of a classic G. A. Henty historical novel. 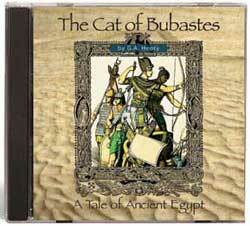 The Cat of Bubastes is a tale of ancient Egypt around 1250 B.C. The hero’s travels take him to Africa and Egypt. Follow Hannibal’s campaigns around 220 B.C. 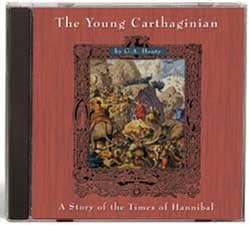 in Carthage, Spain, and Italy in the Young Carthaginian. 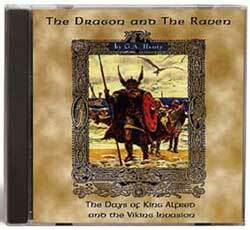 It is a good choice if you want to learn about Hannibal and the rise of the Romans. 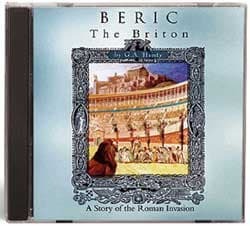 Taking place in 61 A.D., you can follow Beric from Britain to Rome and learn about the Romans and early Christianity. 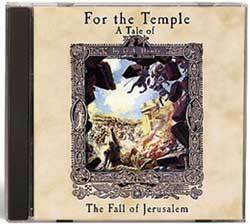 For the Temple is a tale of the fall of Jerusalem in 70 A.D. It’s interesting to compare For the Temple to Beric the Britain which takes place in the same period but a different location. 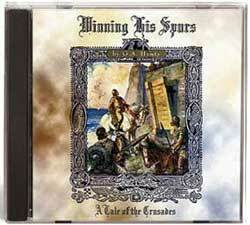 Henty provides great insight into the history of the downfall of Jerusalem. In 1190 during the Third Crusade, young page Cuthbert de Lance accompanies King Richard the Lion-Hearted to the Holy Land in Winning His Spurs. 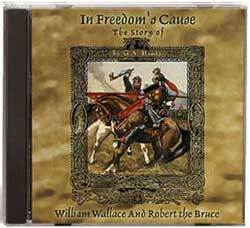 In 1314, Wallace and Bruce fought the British in Scotland. 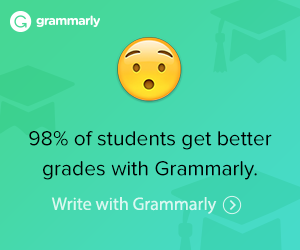 Learn about it by listening to In Freedom’s Cause. 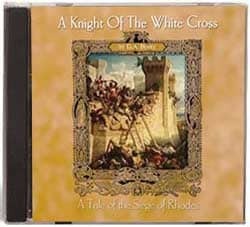 A Knight of the White Cross is a tale of the Siege of Rhodes. 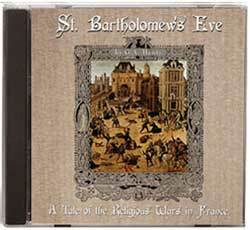 It takes place in Europe around 1480. 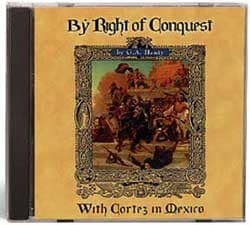 Henty’s story of the massacre of more than 2000 French Huguenots for their faith takes place in Europe and France in the 1570s. 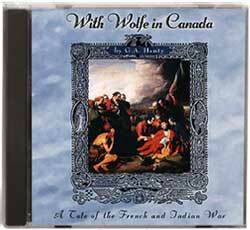 A tale of the French and Indian War, With Wolfe in Canada takes place in Pennsylvania, New York, and Canada during the period from 1750 to 1760s. 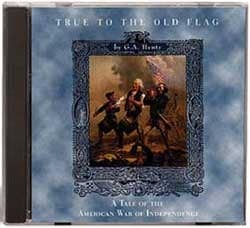 True to the Old Flag is a tale of the American War for Independence and takes place in America from 1775 to 1783. 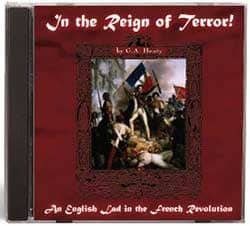 In the Reign of Terror is a story of the French Revolution. It takes place in France and England in the late 1700s. 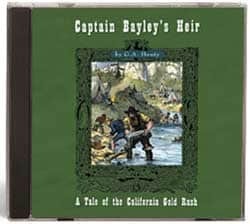 Captain Bayley’s Heir is a tale of the California gold mines. 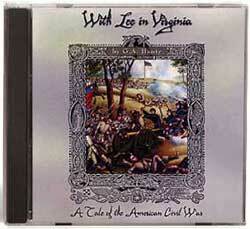 It takes place in the California Gold Fields of 1850’s America. California History Resources More books and curriculum about California history is available.